Reports from several manufacturers have revealed that AMD is readying a new series of processors for their existing platforms. These new processors will include FX-8370 for the AM3+ platform and Steamroller based Athlon X4 860K, Athlon X4 840 and Athlon X2 450 for the FM2+ platform. A few weeks ago, AMD teased a new “Core is Back” trailer for an upcoming CPU announcement which we soon came to know was related to the A-Series family. 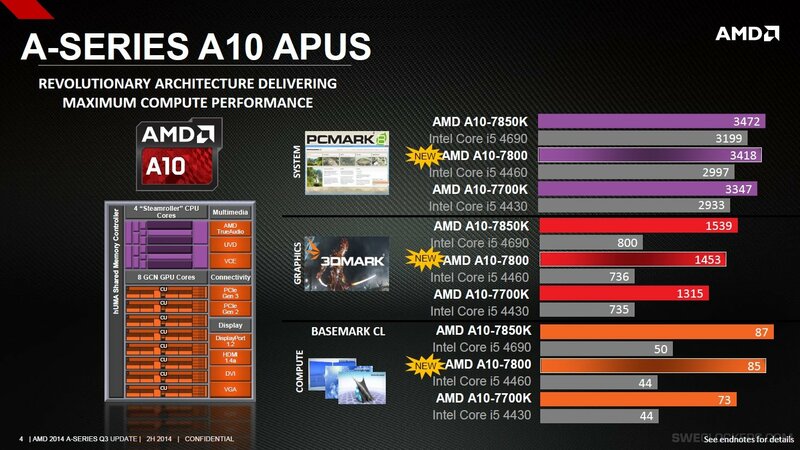 Now AMD has been using the A-Series branding for their APUs but the branding is also featured on the Athlon processors which are simply accelerated processing units with the GPU chip disabled. This means that the core feature for the Athlon processors is to deliver high-performance out put for CPU specific tasks and clocking in at higher frequencies. The ASUS motherboard support page has listed one specific steamroller based Athlon processor codenamed as the Athlon X4 860K “AD860KXBI44JAA” which will be the flagship part replacing the Athlon X4 760K from last year. 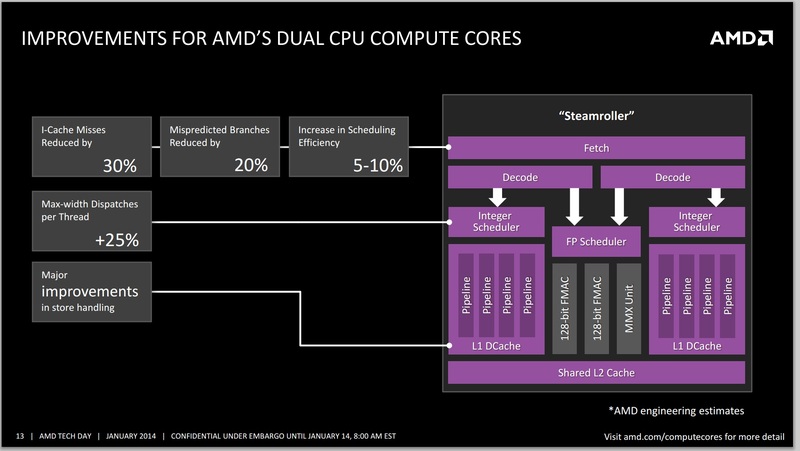 The steamroller based Quad Core chip features four threads, 3.7 GHz clock speed, 2 MB L2 cache and a 95W TDP. The boost clock is not known but considering the A10-7850K which is also a 3.7 GHz clocked chip jumps to 4.0 GHz in boost mode, we can see a similar boost clock for the Athlon X4 860K. The other Athlon processors which have been listed are the Athlon X4 840 and Athlon X2 450. Now these Athlon parts were not listed by any motherboard maker but they appeared in the news section of a Taiwan based Electrical Engineering website which had listed down several upcoming products from AMD and also mentions discontinuation dates for several AMD platforms. The Athlon X4 840 is a quad core processor featuring a 3.4 GHz clock speed, 2 MB L2 cache, 95W TDP while the Athlon X2 450 is a dual core steamroller based processor of which details are not known at the moment. The most surprising thing listed on the source was the mention of FX-8370, a processor arriving on the AM3+ platform. The release of the processor is pitted in September 2014 while the other processors will launch in Q3 2014 (August – September). The FX-8370 will replace the FX-8350 as the flagship AM3+ processor while there’s also a hint that AMD will launch the FX-8310 processor. Both processors will be based on the existing Piledriver core architecture and will be Eight Core models featuring 125W and 95W TDP respectively. Clock speeds are not known but they will receive a higher clock speeds than their predecessors. 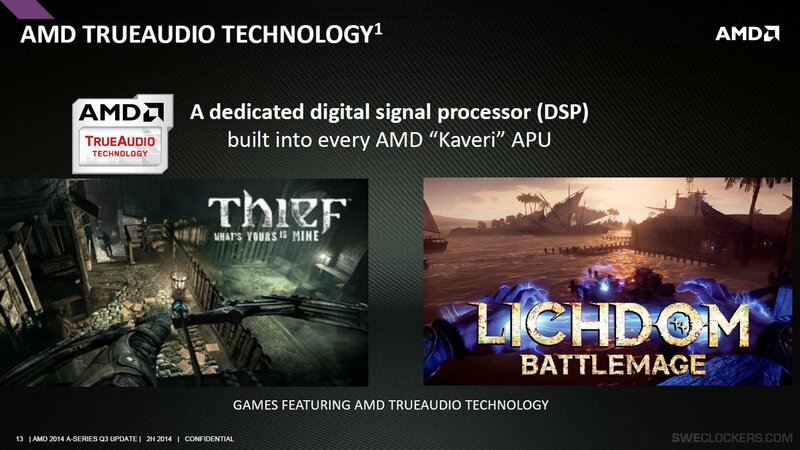 Keeping the TDP low would mean that AMD will not aim for the 220W 5 GHz specifications of the FX-9000 series processors. 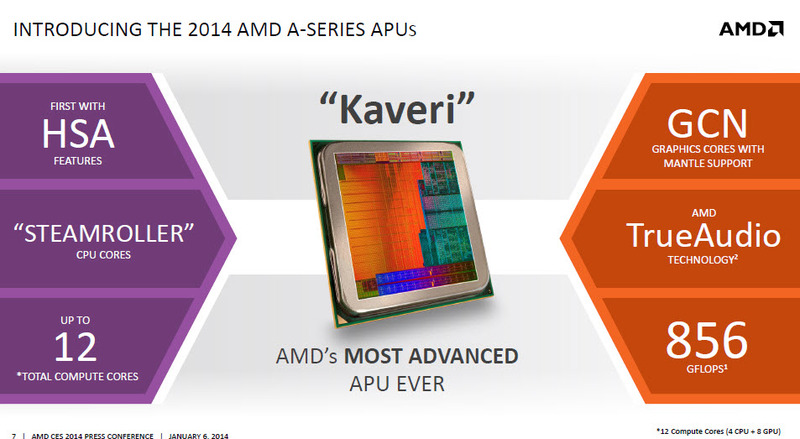 Last up, we have three new Kaveri A-Series APUs coming from AMD which include the A8-7600, A6-7400K and A4-7300. AMD has also planned two Athlon processors for the Kabini AM1 platform too codenamed Athlon X4 550 and Athlon X4 530 which are quad core variants launching in Q3 2014. 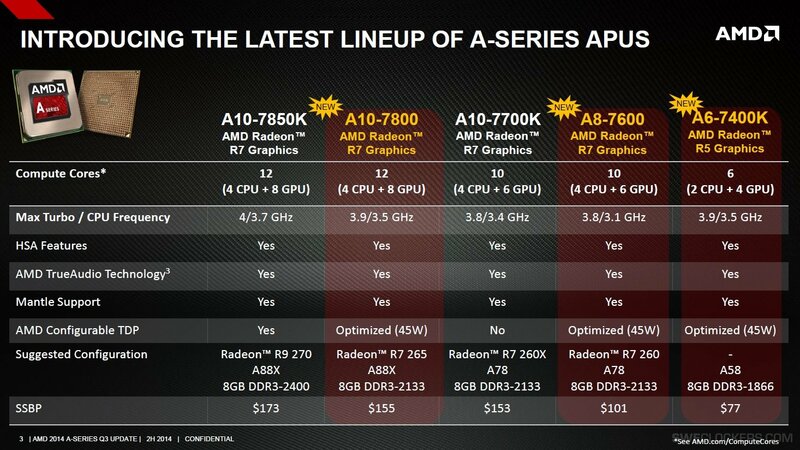 The A10-7800, A8-7600 and A6-7400 have been launched today at $155, $101 and $77 US respectively. 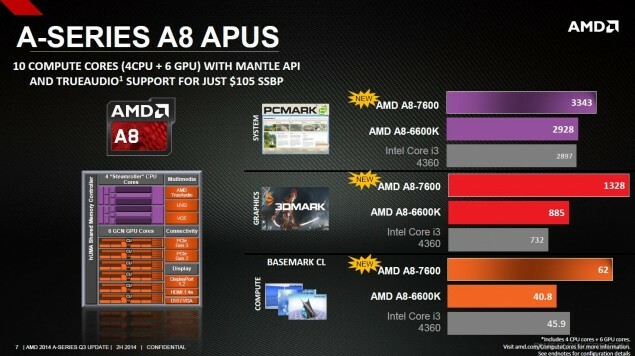 Now we come to the new SKU details starting with the A10-7800 (Non-K) which has 4 cores clocked at 3.5 GHz base and 3.9 GHz turbo while the graphics side would be equipped with 8 GCN compute units resulting in 512 Stream processors which would be clocked at 654 MHz base and 720 MHz boost. The APU would feature a 45 Watt “Optimized” TDP but won’t support any kind of overclocking due to the locked multiplier. 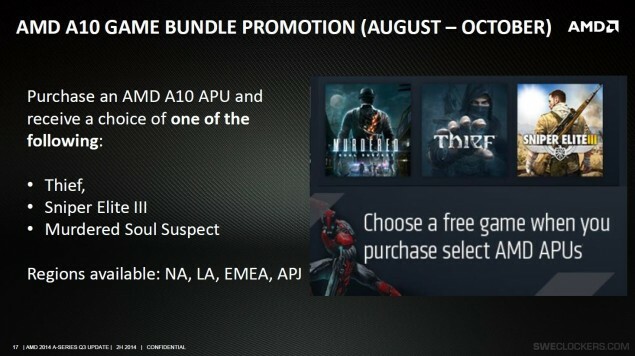 The A10-7800 is priced at $155 US. The A8-7600 would be the last quad core variant in the Kaveri APU lineup featuring 3.1 GHz base and 3.8 GHz turbo frequencies with 4 MB L2 cache, 45 Watt “Optimized” TDP and DDR3-2133 MHz support. The graphics side would include 384 Stream processors (6 Compute Units) and a core speed of 654 MHz base and 720 MHz boost. The A8-8600 is now available for $101 US. Next up we have two dual core variants which include the A6-7400K and A4-7300 which would retail below the US$ 100 price range. The A6-7400K which is a dual core variant with 1 MB L2 cache will feature 4 Compute Units with 256 Stream processors, 45 Watt “Optimized” TDP and support for DDR3-1866 MHz memory. Clock speeds for GPU and CPU aren’t yet announced while the A4-7300 which is another dual core variant with 1 MB L2 cache would feature clock speeds of 3.4 GHz base and 3.8 GHz turbo with 65W TDP and a 3 CU iGPU with 192 Stream processors clocked at 480 MHz base and 514 MHz boost clock. The A6-7400K is now available for $77 US while the A4-7300 will be available in late Q3 2014. There’s also some information regarding the EOL dates for several chipsets which show that AMD’s A78, A58, A55 and even the A88X chipset will retire in December 2014. Along side the new Kaveri lineup, AMD has also announced anew A10 Game bundle promotion which rewards you with one AAA title (Thief/ Sniper Elite III/ Murdered Soul Suspect) on the purchase of an AMD A10 APU adding $60 US value.